Importance: with scuba diving for corals. 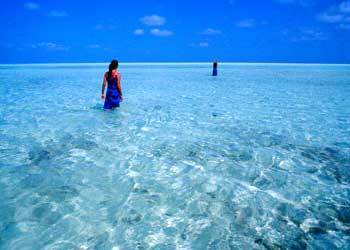 Known as the Jewel of the Lakshadweep, there is something incredibly romantic about the place called Bangaram. Most striking feature is that it is one of the many uninhabited islands in the Lakshadweep area. Surrounded by a shallow lagoon enclosed by coral reef it offers a breathtaking spectacle of sparkling coral reefs, turquoise blue lagoons, silvery beaches and lush green coconut palms. This tear drop shaped island Bangaram is ranked among the best tourist spots in the world. <br />The place is best for Sun sand and surf with beautiful coral reef and blue lagoons. The pollution free environment with coconut groves and the splendid marine life under sea, Bangaram is the best place to ever be. <br />The charismatic sunset view from the island is almost enthralling. An unforgettable experience that would become a lifelong souvenir is what the tourist leaves Bangaram with.